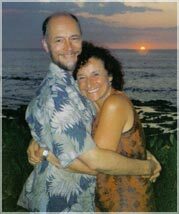 Alexandre develops and teaches his own original and other approaches to peak states and shamanic experiences. To contact or attend his presentations, go to http://www.alexandrenadeau.com. He lives and works in Montreal, Canada. See www.aiwp.org for more information. AIWP was founded in the 1970s by Dr. Melvin Suhd to encourage and support research in humanistic and transpersonal psychology. His personal orientation was deeply spiritual but non-denominational: "A major element of the mission of AIWP is to encourage individuals to reaffirm their religion of heritage." To contact, phone: (707) 586-9484 or email: aiwpcentral@gmail.com. AIWP is located in California, USA. See www.deepwild.org for information on the Dakubetede Environmental Education Programs at the historic Trillium Farm. Contact them at 541-899-1696 for more information, or email them at . Trillium Farm is located near Rush, Oregon. See www.TheSanctuaryOfHealing.com for more information. The Sanctuary of Healing is a registered charity; it is supported by contributions and donations that allow the centre to offer the most progressive help for clients who access our services. Our beautiful purpose-built premises nestles discreetly in acres of peaceful woodland. It offers nine treatment rooms, complemented by three group rooms for classes & workshops and a contemplation room which includes both a lending and reference library, enabling you to take time out from the hustle and bustle of everyday life. Many of the therapies offered here at The Sanctuary work on bringing the body back into harmony and assist in the elimination of viruses and toxins. Today we house the best of these therapies from around the world including holistic treatments, such as, chakra balancing, infra-red sauna detox, crystal light therapy as well as some of the more traditional therapies, for example, acupuncture and massage. All therapies are offered to help with the symptoms and pain of specific diseases and also to promote general well-being. Founder: Tony Clarkson. Dewhurst Road, Langho, Blackburn, Lancashire. Phone: 01254 246940 / 246759. See www.tara-approach.org for more information. The TARA Approach is taught in hospitals, universities, social service agencies, domestic violence shelters, at midwifery schools, and wherever there is a need and an organizational structure to support its delivery. The TARA Studio in Eldorado Springs, Colorado, has been home base since the program’s inception in 1995. Dr. Stephanie Mines is the founding director. The TARA approach is taught worldwide. See www.UniversityForIntegrativeLearning.org. The University for Integrative Learning serves a spiritual learning community in ways consistent with humanistic educational philosophy and psychology. UIL places individuals at the center of their own learning processes in relation to all aspects of life. They serve students in both the USA and Canada. Phone 707-586-9484 or email . The administrative offices are in California. See www.WindWalker.ca for information on the Windwalker training on outdoor living skills and spiritual awareness. Contact Wes Geitz at 250-339-3197 (Pacific Standard Time) or email . He teaches in British Columbia and Alberta, Canada.